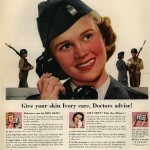 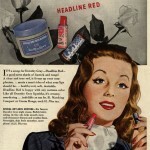 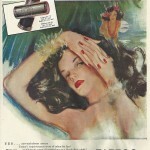 Hair and beauty adverts from the 1940s, showing the fashionable colours of the decade, as well as hairstyles, clothing and accessories. 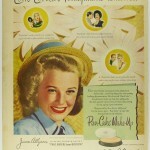 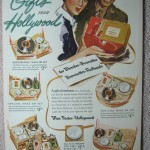 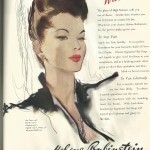 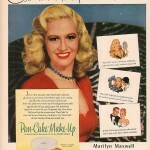 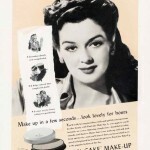 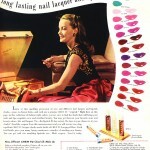 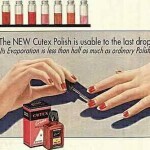 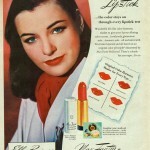 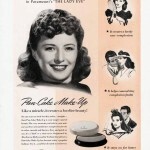 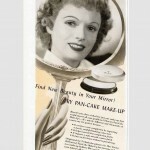 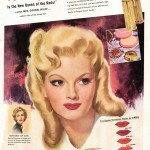 Max Factor was the big name of the 1940s, with its hugely successful products Pan-Cake and Pan-Stik (released to the public in 1948). 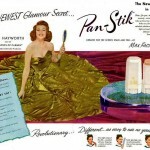 Film stars often lent their face and name to advertisements, where a cheeky promo for their latest film was often slipped in, and women worldwide loved to copy their style.